We take pride in seeing as many new hotel openings around the world as possible. We love being able to experience everything first hand so we can advise our clients about what is currently exciting us. 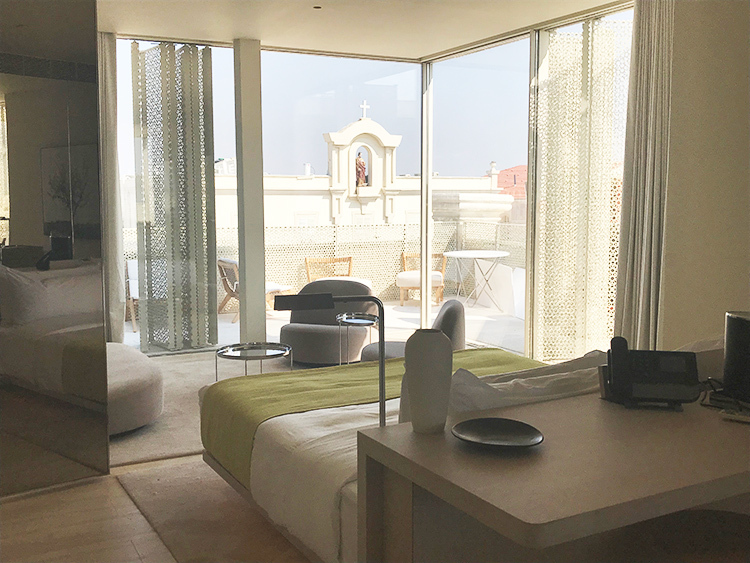 This week it is Jaffa, the oldest and arguably most fascinating area of Tel Aviv-Yafo, a melting pot of culture and religions steeped in history and important architecture, where the eponymous boutique hotel, The Jaffa, is officially due to open to guests next month. Our first impressions are very positive. This landmark building, together with its new extension, is located in the south of the city, close to the sea. One side of the complex faces Jaffa and the other Tel Aviv. 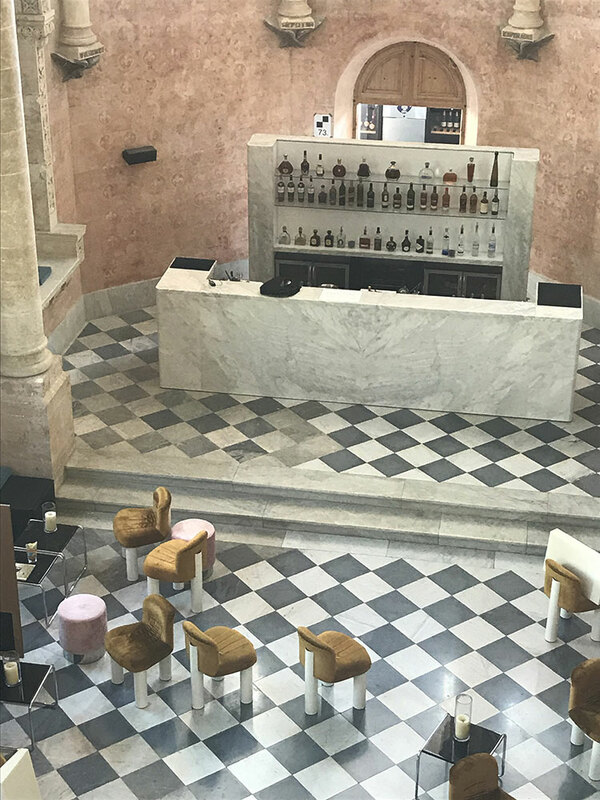 Meticulously restored by Israeli architect Ramy Gill and London-based John Pawson, the project has taken more than 10 years to complete. The result is a state-of-the-art luxury 120-room boutique-style hotel, together with 23 private residences. 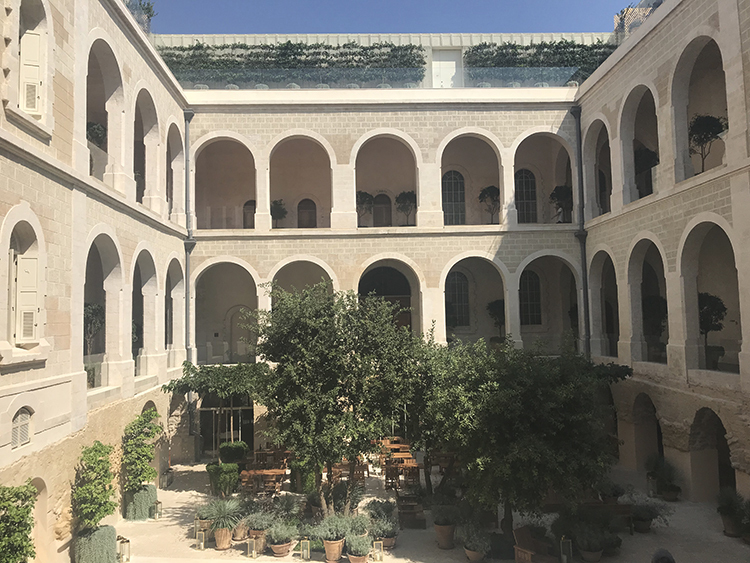 The original building, which dates from the 19th century, is a former French hospital that has been carefully preserved, retaining many original features, including Roman stonework columns and stained-glass windows. It is the way the old meets the new, in the skilful execution of architecture and design that is most impressive. The sophisticated contemporary interior design, referencing minimalism and Bauhaus, is enhanced by original contemporary artworks, such as those by Damien Hirst in the minimalist entrance lobby. A beautiful lounge-bar, with soaring high ceilings, has been created in the 19th-century chapel. 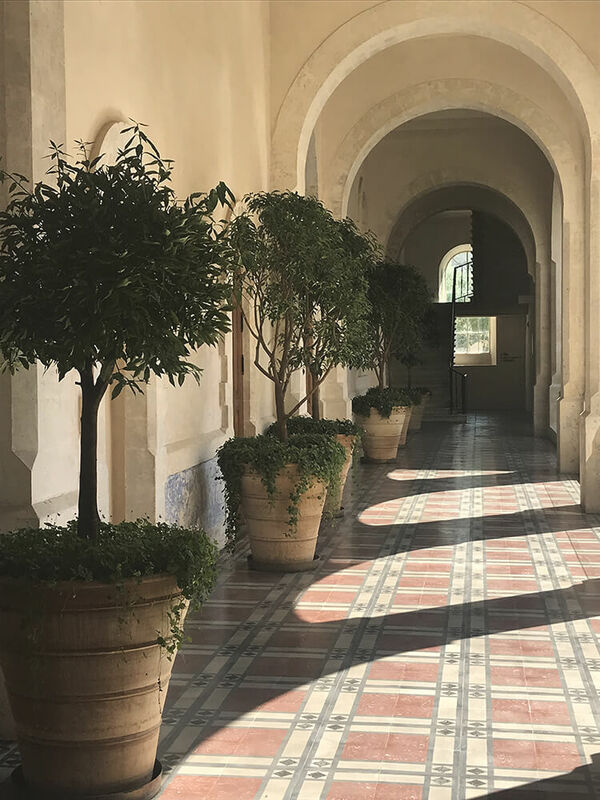 Cloistered walkways, with original patterned tiled floors and domed ceilings, are softened by large terracotta planters. Several of the de luxe junior suites feature double- height vaulted ceilings. 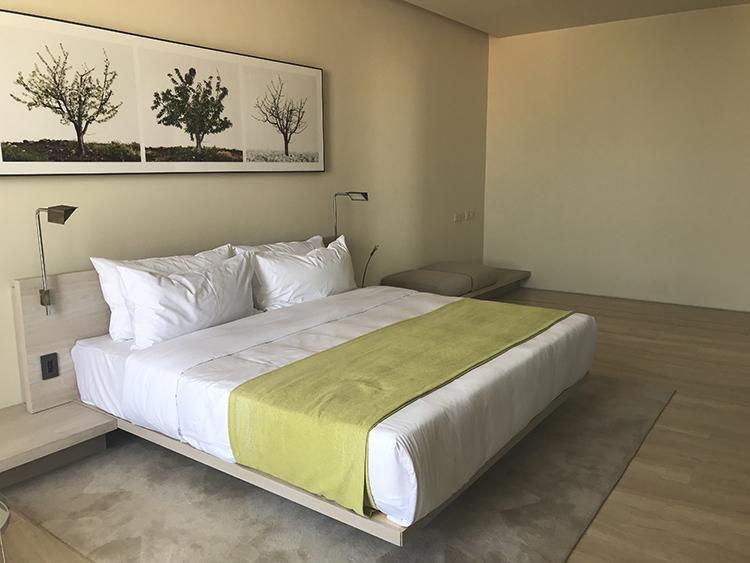 The Royal Suites have been named after Jewish kings, for example the King Saul Suite, which has panoramic views north and west to the ocean and the city of Tel Aviv. A full-sized swimming pool lined with sun-loungers, and with a galleried sunbathing deck above, provides plenty of space for relaxation. 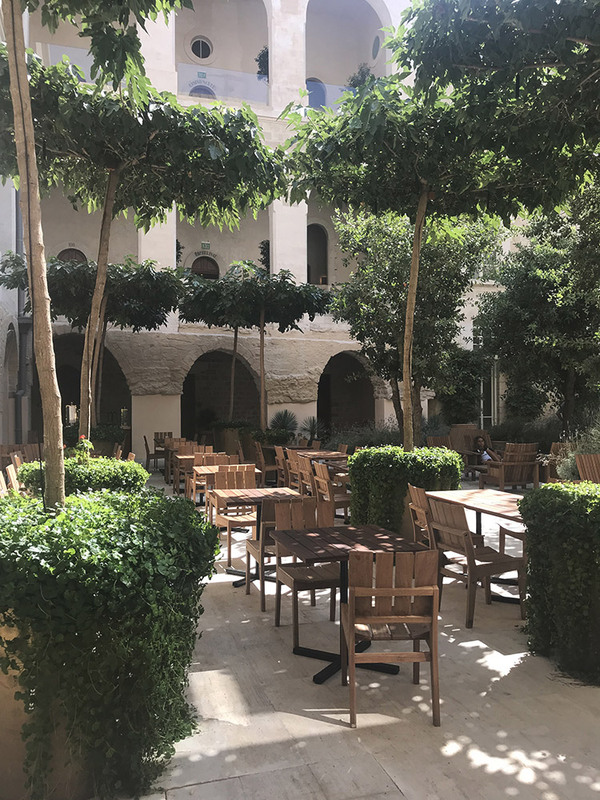 The Jaffa will offer several dining options, including a New York-style Italian and a deli called Golda’s Delicatessen, named after the late Golda Meir. 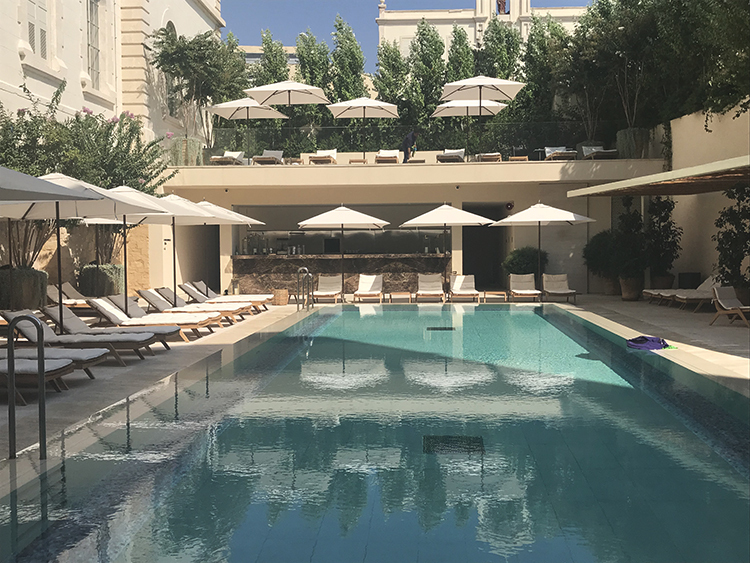 However, our advice is to experience Tel Aviv’s exciting culinary scene as well as the atmosphere of the immediate area of Old Jaffa and its port, where Arab influences in food and culture make it a fascinating sector of the city. The hotel also references the Arab culture of Jaffa, as well as the famous Jaffa oranges, in the orange-scented bathroom unguents.